The last couple of years have seen a feeling of unease spreading in wide circles of the Evangelical-Lutheran Church in Denmark. People are worried about how public debaters and politicians understand religion to be a problem. Freedom of religion and belief as well as intellectual and spiritual freedom (in Danish: “åndsfrihed”) is increasingly becoming a subject of conversation in ELCD and in the free churches. The big question is how we safeguard freedom of thought, speech, and religion.The churches are working together to discuss this important matter and different initiatives are being born. Through The National Council of Churches, ELCD continues to be in close collaboration with other churches in order to ensure their freedom of belief. In November, a big conference about freedom of religion and belief both at home and abroad took place at the Danish Parliament. It hosted representatives from ELCD, the free churches, different religious minorities and civil society as well as atheists, scholars, and politicians. The aim of the conference was to engage in a long-term public dialogue about the positive contribution of religion in society. The dialogue has sparked a great interest from many sides and the dialogue will continue in a wide network. In April, Åndsfrihed was founded. Åndsfrihed is an association for intellectual and spiritual freedom that aims to unify people across religious and non-religious divides. Thus, representatives from different political as well as religious and non-religious convictions will constitute the association. Furtheremore, a Nordic network of Christian organizations have formed the Nordic Ecumenical Network on Freedom of Religion or Belief (NORFORB) in partnership with a wide range of secular and faith based organisations, i.a. World Council of Churches. 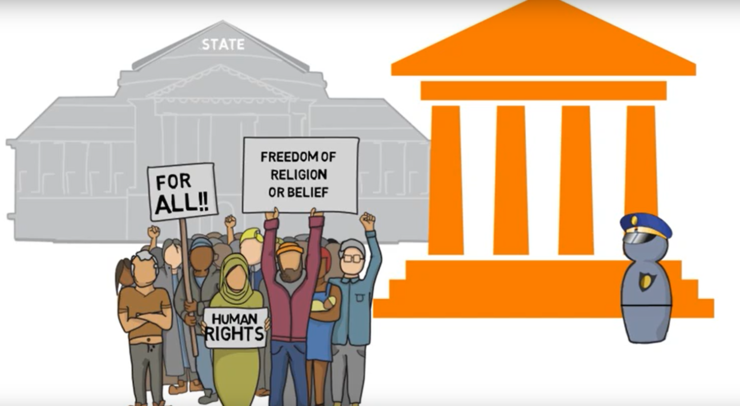 The network has launched an online learning platform, making it possible for individuals, communities and decision-makers to learn, reflect upon and promote freedom of religion or belief for all. The platform includes resources for personal study and for group trainings. See website here. There will be many more events and initiatives to come.